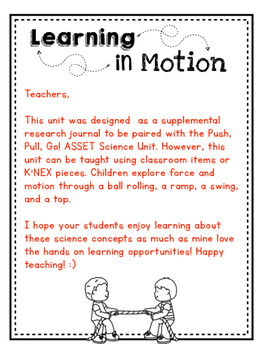 This force and motion unit is designed to be paired with the "ASSET Science Unit Push, Pull, Go." This notebook will have your students critically thinking about science concepts, cause and effect, and connections to their everyday world. 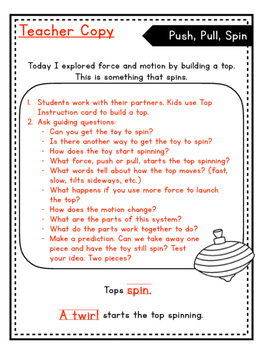 The unit uses K'NEX to explore tons of motion activities cover force, friction, push and pull, critical thinking skills, roll and slide concepts. 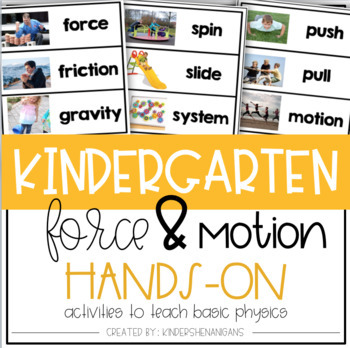 Each activity includes easy to follow, detailed teacher descriptions and directions. 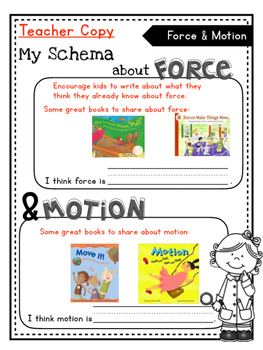 Kid-friendly black and white pages are included to provide little scientists with the chance for writing about their learning! Download the preview to see everything that is included in this pack!